The Florida Highway Patrol, Escambia County Sheriff’s Office and Mothers Against Drunk Driving (MADD) partnered to conduct a roadside checkpoint on Nine Mile Road near Kohls on December 29. 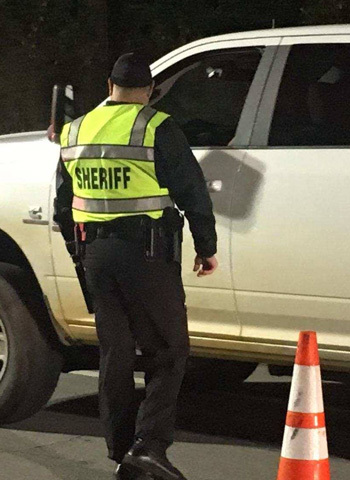 During the operation, vehicles were stopped to check for driver impairment with roadside sobriety testing performed on site. Officials said this week that approximately 470 vehicles were stopped to check for driver impairment. 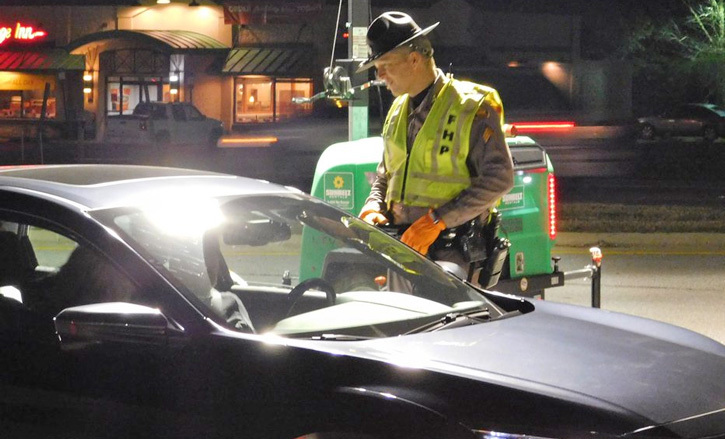 A total of 68 tickets, one DUI citation, and five criminal citations were issued. 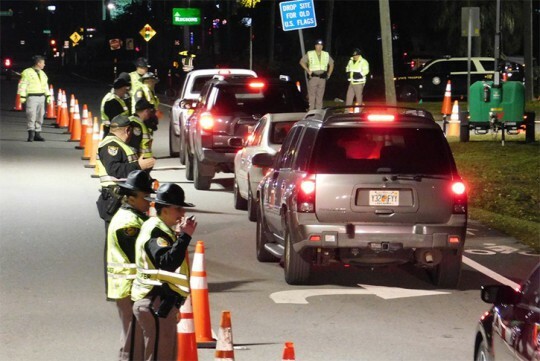 The checkpoint was part of a nationwide campaign to prevent people from drinking and driving through the holiday season. Great job FHP. I wish you would do this sometime on Highway 97 going toward Atmore. I pray to God those LEOs saved at least one person from dying December 29th. William could use one less tragedy to report. Some of you commenters are the first to offer condolences and beg for something to be done when William publishes stories about our teens dying in DUI crashes. When a single mother is killed on Hwy 29, you’re quick to respond “Something should be done”. But when area law enforcement actually takes a preventative stand you jump on your “constitutional” grand stand and holler about your rights. You complain that the law enforcement “should find something better to do”. In short, it has already been ruled legal – any arguments against are invalid. to invalidate the checkpoints, you would have to get a case to the supreme court and argue successfully against the previous decision. Your movements are not restricted. How you move about can be. There are other cases which further define how these regulations may be implemented. the ability to travel down a road is a right. but the state has a vested interest in making sure that you can safely do so. therefore, you may walk down the side of a road with minimum expectations, but if you want to go by your own car, you must demonstrate the ability to do so. a driver’s licence is the means by which the state tests your ability. this falls within the state’s right to regulate the means by which you travel. by the logic of the other side, the right to fly exists. therefore, the FAA is illegal. the existence of a right is not absolute. it is the state’s function to achieve a balance between what is necessary for the government and society to function, and the maximum protection of a right where it exists. This is covered in Florida Statutes Chapter 316, 322, and others. the laws exist for a reason. in the case of cars and drivers, it’s because people are stupid when they try to drive in groups. need an example? just remember that people are actually having to be told every day how to merge from three lanes down to two on I-10 as you travel west bound towards Highway 29. The Department of Motor vehicles has actually released books and video on how to merge properly. but every day at 4.30 p/m there is a fresh backup from hell, because even after licensing people are too stupid to follow simple laws meant to keep things moving smoothly. so yeah, let’s go with the idea that licenses are illegal and see how that sorts itself out. These checkpoints are not to catch people but to make people aware and make them think about drunk driving and safety. At least the traffic slows down when the drivers see the roadblock ahead. Worth it for that reason alone. @averagejoe In America we have the Constitutional right to freely travel to and from work, church, grocery shopping, etc. Driving is only a privilege once you get your drivers license bc with that license you sign your rights away. If one we’re to never get his/her DL’s driving would then be their right so long as they’re driving to or from work, school, church, Dr’s office/hospital, grocery stores etc. If the law stops you while doing so you may still be arrested for driving without a license but if your not a sucker and know your rights and have the proof for your case it’ll be thrown out in court everytime no lawyer needed. Then comes the wrongful arrest lawsuit. it pays to know the laws and your rights. Driving is only a privilege to those of us who signed our rights away. Driving is a privilege, not a right. Safety is imperative, especially in this state, where DUI and driving without insurance is a stifling problem. Just have your papers ready and keep your eyes forward and don’t worry about how the men and women in the brown uniforms are conducting business. Thank you North Escambia for the rest of the story. 68 divided by 4 is 17 tickets per hour. IF there were 15 troopers on site who would have instead been put on the road,the tally would have looked like this. 15 troopers at a quota of two tickets an hour equals 30 tickets per hour or 120 for the entire 4 hour shift. But all the grandstanding gets press coverage but very little activity. ARE YOU KIDDING ME !!!! THIS IS THE BIGGEST JOKE I HAVE EVER SEEN. 98% O F THE PEOPLE HERE IN ESCAMBIA COUNTY ARE LAUGHING ABOUT THIS HIGHLY ADVERTISED PITT STOP IMPAIRED PEOPLE ARE USUALLY NOT IMPAIRED ENOUGH TO RUN INTO A ADVERTISED DUI CHECK POINT ONLY ABOUT 1% IS REALLY THAT STUPID !!!!!!!!!!!!! LET THE PEOPLE KNOW 3 WEEKS EARLY SO WHEN IT COMES TIME THEY WILL FORGET YOU ARE THERE OK !!!!!!! !